Here's the latest lowdown on San Francisco's restaurant scene. 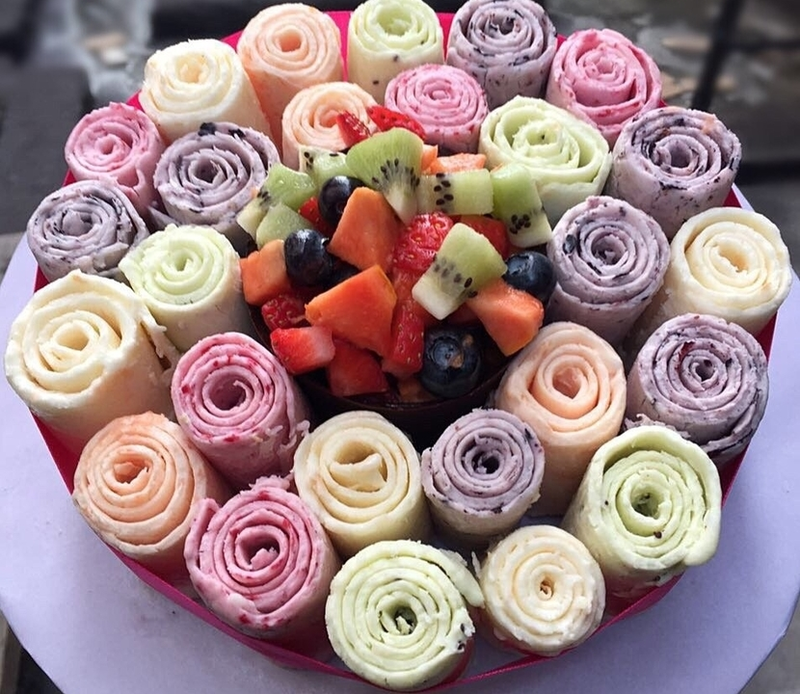 In this edition, a Thai-inspired dessert shop opens for business, a long-awaited French wine bar nears its debut, and a Hayes Valley Thai restaurant and an Embarcadero Mexican chain close their doors. 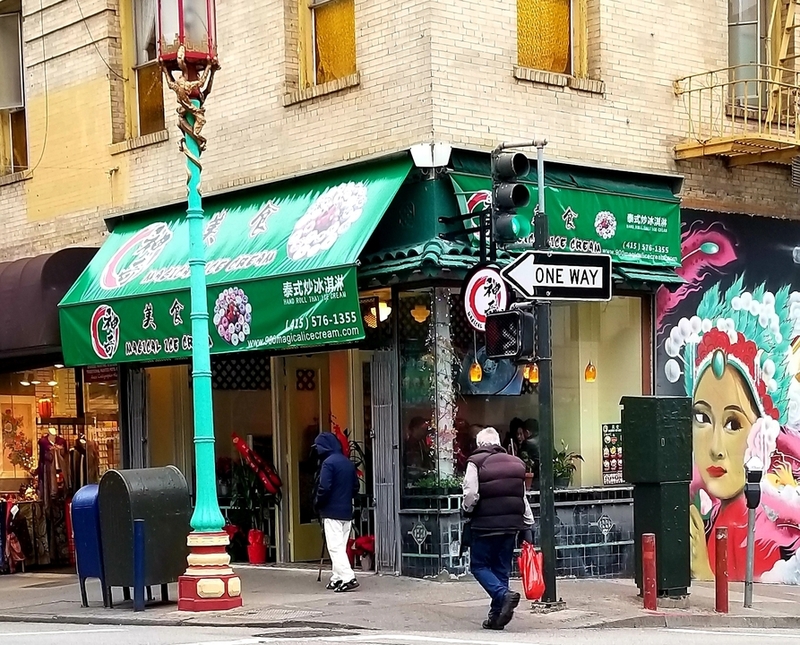 A new dessert spot, called Magical Ice Cream, is now open in Chinatown, reports veteran Hoodline tipster Al M.
The shop, which specializes in Thai-style rolled ice cream, planned to open after the Christmas holiday, Al said. But when he returned to the neighborhood earlier this week, the new business had opened its doors a bit earlier than expected. It's currently in soft-opening mode, so some of the kinks are still being worked out, such as getting the credit card machine up and running and the menu updated on the website, Al explained. But if you stop by, expect to see roughly a dozen rotating flavors topped with an assortment of goodies. The piece de resistance is the "Gold Rush," made with 24 karat gold flakes for $12, said Al. Next up is Verjus, a much-anticipated restaurant that's been in the works since last January. 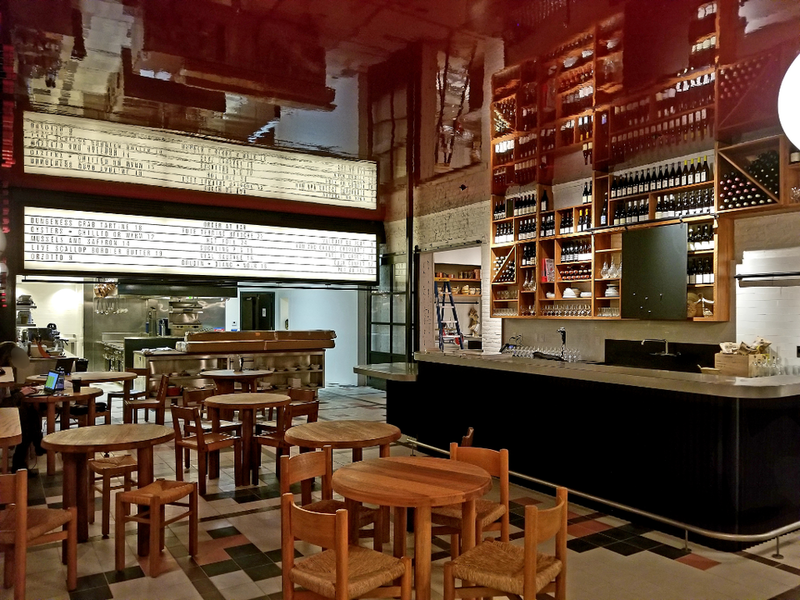 It appears to be poised to open in the coming weeks, according to our informant Al M.
The restaurant comes from veteran restaurateurs Michael and Lindsay Tusk of Qunice and Cotogna, and has taken over the space formerly occupied by Chiaroscuro, which closed in 2016. Expect to see a bit of a departure from the team's two nearby restaurants: "We're looking for a bit more anarchy, a chance to let our hair down," said Lindsay Tusk in an interview with the Wall Street Journal in May. "We're thinking ye-ye girls style, Serge Gainsbourg playing, French and '70s, quite spirited." 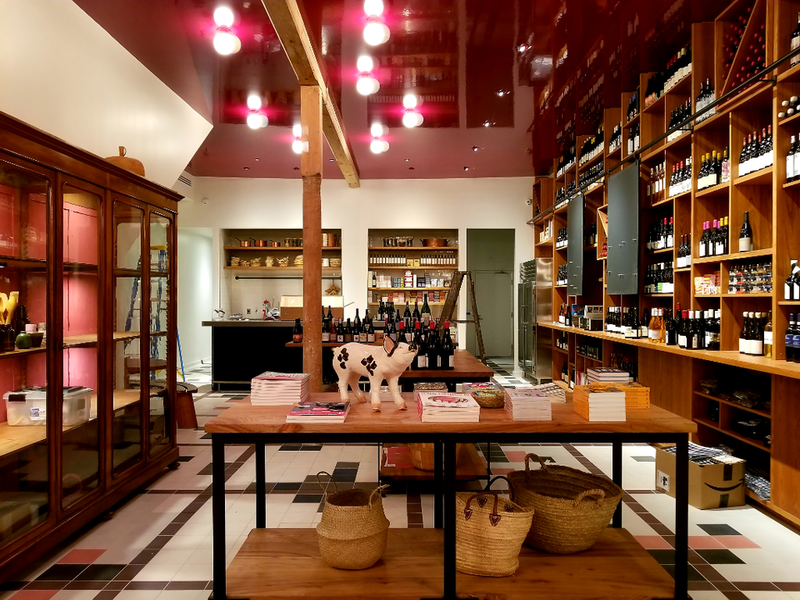 The French-inspired wine bar will also feature a retail component, with items on offer -- from Japanese glassware to antique truffle slicers to French ceramics -- inspired by the Tusks' travels. Al stopped by yesterday to take a look at the updated space and was told the restaurant should be ready to go by the end of the year. If you're looking for a new gig, the restaurant is hiring wine servers and sommeliers, a bar manager, line cooks and more. 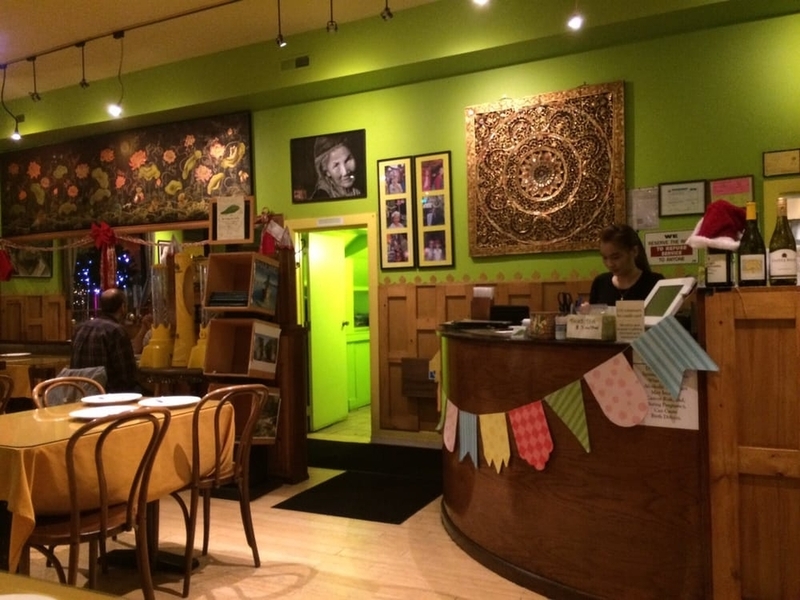 Hoodline readers Ed A. and Sergio S. notified us that after eight years in business, Bai Thong Thai Cuisine will be shuttering. Ed A. said that according to a sign posted to the restaurant's window from owner Salakjit, the eatery's last day of service is Sunday, Dec. 23. Salakjit told us over the phone that while she's closing the restaurant, she plans to pivot the business to catering only. "But I'm still be here in San Francisco," she said. There may be more movement afoot in the soon-to-be-vacant space, however. A search of public records reveals that a "voluntary soft-story wood-frame seismic retrofit" and the addition of an ADA-compliant restroom is slated for the building. 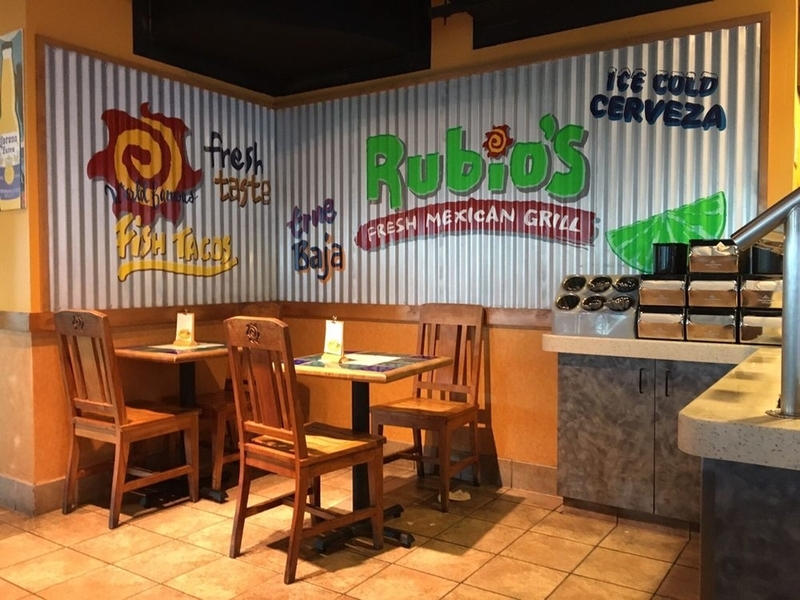 Finally, tipster Canice F. reports that FiDi Mexican spot Rubio's has "suddenly closed" its only San Francisco outpost. It's not clear why the restaurant threw in the towel. We've reached out to the eatery's corporate offices to learn more and will update if and when we hear back. Meanwhile, the nearest Rubio's, located at 5614 Bay St. in Emeryville, remains open. Thanks to Ed A., Sergio S., Canice F. and Al M. for the tips! If you've seen something new in the neighborhood, email your tips and photos to tips@hoodline.com. If we use your info in a story, we'll give you credit.